French oil giant Total stopped buying oil from Iran due to U.S. sanctions a few months ago. This was stated by head of the French company Patrick Puianne at the Oil & Money Conference in London. "We stopped to buy Iranian oil in July, despite the fact that we formally have the right to do this until November," he said. He noted that, despite the drop in oil exports from Iran, the supply on the market is currently sufficient. A more important question lies in another issue, namely the price of “black gold,” Puianne stressed. "Today, the market is sufficiently supplied. Moreover, oil reserves in the world are growing. And if oil prices are high, it is not because of (balance) supply and demand, not because of fundamental, but political factors. With each tweet prices go up," he concluded. 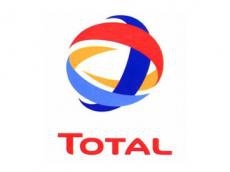 Total notified the Iranian authorities about its withdrawal from the South Pars 11 gas project after it was unable to obtain a special permit from Washington to continue working in Iran. The company noted that the Total stake in the project could be taken by the Chinese state company CNPC. In early July, the National Iranian Oil Company (NIOC) signed an agreement with Total on the development of South Pars phase 11. The contract amount is $ 1 billion. At the same time, the contract allows the Chinese CNPC to pick up Total’s share (50.1%) if the French company withdraws from the project. U.S. President Donald Trump in May 2018, announced his withdrawal from the Joint Comprehensive Action Plan on the Iranian nuclear program. On August 7, Washington restored the first block of anti-Iran sanctions. They affected the automobile sector of the country, as well as trade in gold and other metals. The second block will come into effect in November. It will be extended to the energy sector, transactions related to hydrocarbons and to the Central Bank of Iran.